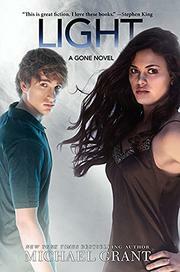 With the world outside the FAYZ in sight and stakes rising, characters take drastic actions for survival and redemption. As the barrier has become clear, the FAYZ kids gain an audience, creating anxiety about performance as they worry about how they will be perceived by the adults in the normal world. Kids now communicating with their parents and the media have renewed hope that the end of the FAYZ is near, and they act accordingly. Others deduce that Gaia is up to something big, the endgame, now that the gaiaphage has taken a human form. They restructure leadership so Sam and Caine can team up to try to stop Gaia before it’s too late. Sure enough, Gaia can feel little Pete weakening without his physical form and plans to doom the human race once Pete fades enough for the barrier to fall. But first Gaia must prevent Pete from taking a physical form again by trying to slaughter his potential hosts—the FAYZ kids. However, Gaia must kill judiciously, as the powered kids’ link to the gaiaphage is revealed and explained. The answers to the FAYZ mysteries sometimes come in less-than-graceful exposition, but dedicated series readers will be more concerned with satisfying their curiosity. Multiple chapters of aftermath wrap up the series better than an epilogue could.